Pandora on Thursday announced the availability of a new full page premium advertising option that uses HMTL5 via the newly redesigned Pandora website. The new 970 x 250 banner ad which runs video with an integrated skin is part of the Lexus ‘Engineering Amazing’ campaign and is targeted at 25-year-old to 54-year-old listeners. 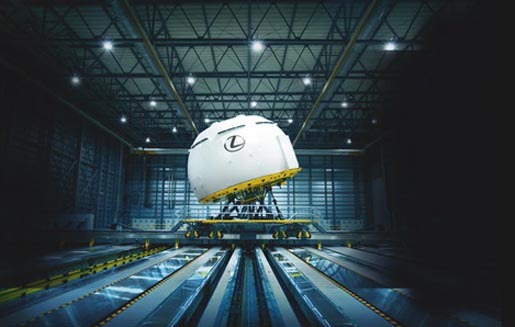 “The ‘Engineering Amazing’ campaign features some of our most compelling safety and hybrid technology, so it aligns well with Pandora and allows us to deliver our message to an engaged audience that expects to receive relevant ads with minimal disruption,” statesBrian Smith, vice president of marketing at Lexus. Lexus and Pandora have been working closely together over the last several months, in the past Lexus gave away one-month subscriptions to the Pandora One service while a second campaign helped create stations that Lexus and Pandora believed would feature music that will last the test of time. The new Lexus full-page HTML5 ads are popping up at various times so be sure to check for them when listening to music on your Pandora enabled radio station.